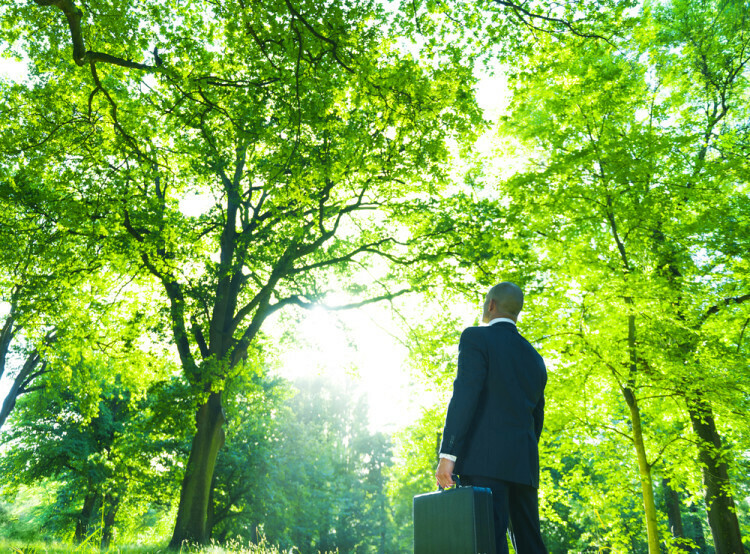 Are you hoping to make your business more “green”? Get tips on starting an environmentally friendly business—and lots more—on Bplans. This week on Bplans, we cover actionable advice to help improve your business planning, as well as “tips” from top CEOs—though in this case, it’s what not to do. If you’re looking for help with your pitch deck slides, wondering if you can still get a loan with bad credit, or hoping to refine your business strategy, check out these articles from Bplans, designed to help make starting and managing your small business that much easier. We all make mistakes, and that includes CEOs of major companies. You’ll be familiar with some of these gaffs—Tim Cook’s Apple Maps disaster was especially memorable—but you may not have considered the lessons to be learned. The takeaways from these CEO mistakes are applicable for smaller business owners as well—lucky for you, mistakes in your business will likely be smaller. We recently covered some of the best pitch deck tools on Bplans, but what should your pitch deck actually include? Palo Alto COO Noah Parsons goes over your pitch deck slide by slide, and gives plenty of valuable tips to help make each slide work for you. If you’re creating your business pitch, don’t pass this article up—it’s a great resource for those planning their pitch deck, and if you’ve got yours already, you may find that you missed an important slide, or that you’re covering too much. 3. How Can I Get a Business Loan If My Credit Is Terrible? So, you know your credit isn’t great, but you still need a loan for your business? Do you have any options? It turns out, you do—but it’s important that you do your research and know the risks of taking a loan with bad credit. In this article, we go over what you’ll find available to you, such as a business credit card, cash advance, and microloans. You’ll also get information about repairing your credit to enable you to get a business loan more easily in the future. “Going green” isn’t just a trendy term—the market for green businesses is only growing. However, you can’t just say you have a green business, you need to put your money where your mouth is. There are plenty of ways your business can be green; from having sustainable in-house processes to actually operating a recycling center, the ways to be a “green business” are many and varied. What do they all have in common, besides being environmentally friendly? They have to be viable businesses, first and foremost. Don’t worry—we’ll tell you how to handle that part, too. As excited as any entrepreneur is to start their business, say the words “business plan” and most eyes glaze over. Business plans have a reputation for being time-consuming, exhaustive affairs, but they don’t have to be. We asked—can you write a business plan in under an hour? Our own COO Noah Parsons tested it—turns out, you can. Find out more here. Does your business have strategy? If you look closely, you’ll see that most successful businesses have a strategy, whether it’s immediately apparent or not. It can be in the form of a story, or a more concrete methodology. In this excerpt from his new, as-yet unpublished book, Palo Alto Software founder Tim Berry discusses strategy through story, and developing strategy using his “IMO” method. Have a business question you’d like us to answer? Ask us in the comments!